A hard fought victory for RiverAsUsual on Sunday evening sees him pick up his second win of the 2014 UK Sharks Player of the Year championship. 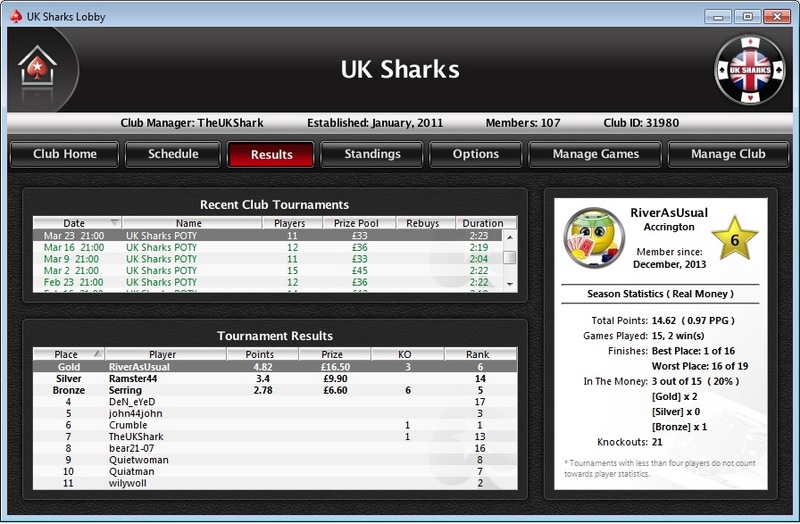 As always, this week’s tournament takes place Sunday at 8pm on PokerStars, make sure that you join us. For further details click here.